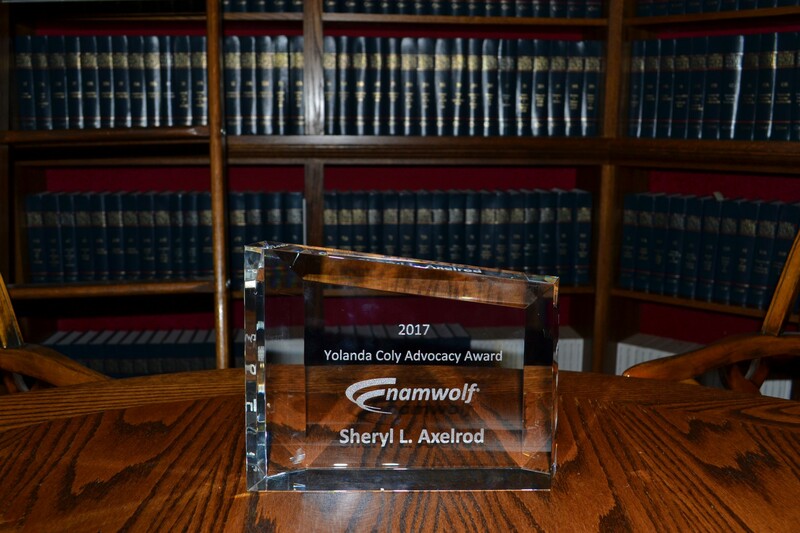 Firm President Sheryl Axelrod was honored with NAMWOLF’s (the National Association of Minority and Women Owned Law Firms’) 2017 Yolanda Coly Advocacy Award. Yolanda Coly herself nominated Sheryl, as did two NAMWOLF Board of Directors members, Jamie Rudman, who presented Sheryl with the award, and John Murdock. The Yolanda Coly Advocacy Award recognizes a person of influence with wide ranging professional connections such who, through stellar advocacy, profoundly advanced NAMWOLF’s mission. 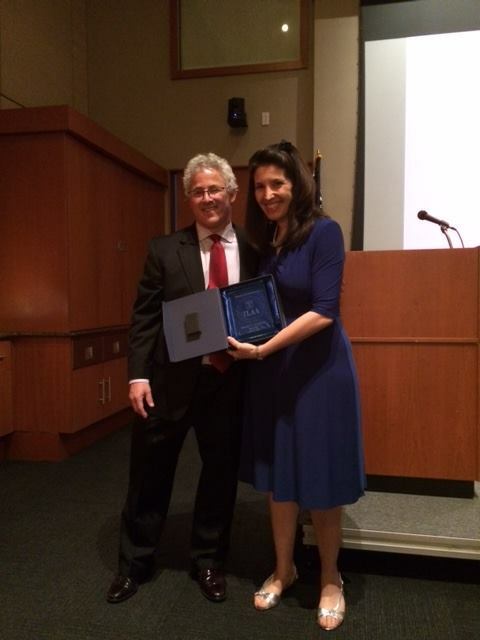 Sheryl was recognized for her career-long championing of equality, diversity, and inclusion. 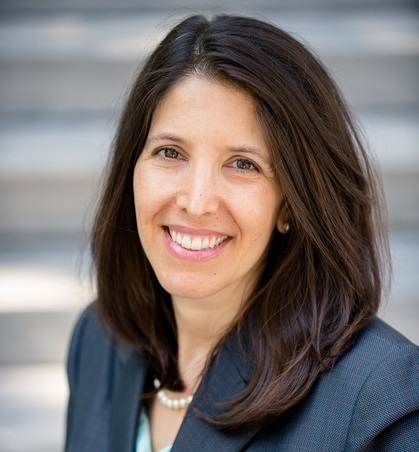 Sheryl continues to serve as Co-Chair of the NAMWOLF Advocacy Committee and to speak about the disenfranchisement of women and minorities, unconscious bias, the profitability of diversity, and tools companies and each of us can use to become diversity champions. Watch Sheryl’s courageous award acceptance speech here, for which she was given an extended standing ovation. 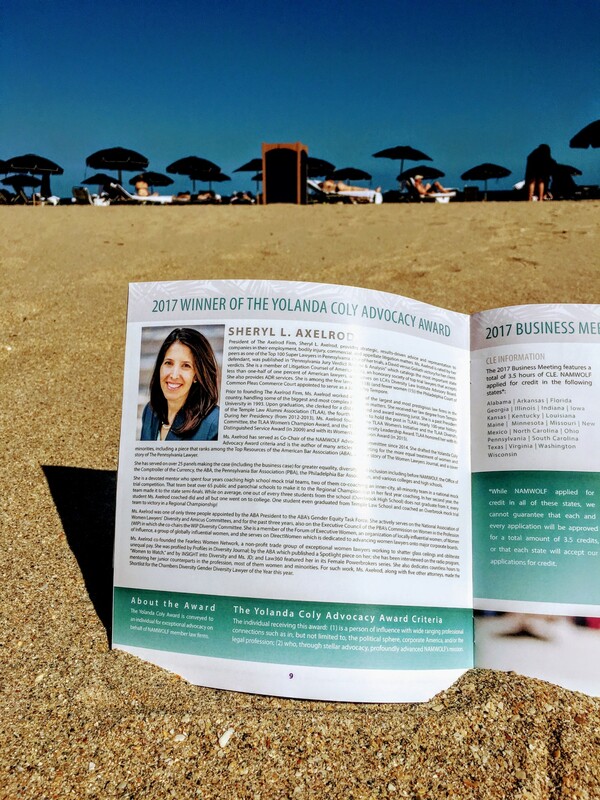 Firm President Sheryl Axelrod was among a total of 6 attorneys in the country shortlisted for the Gender Diversity Lawyer of the Year Award at the Chambers Diversity Awards USA 2016. 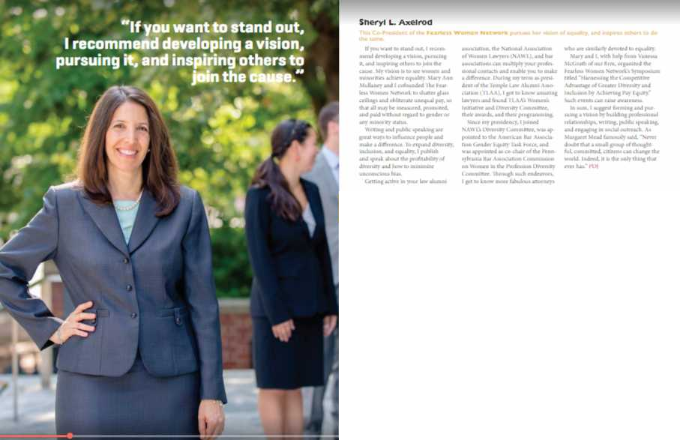 Sheryl was recognized alongside attorneys from an array of firms for her work advocating gender diversity and equality in the legal profession. The Chambers Diversity Awards reflect achievements in furthering the advancement of diversity within the law. 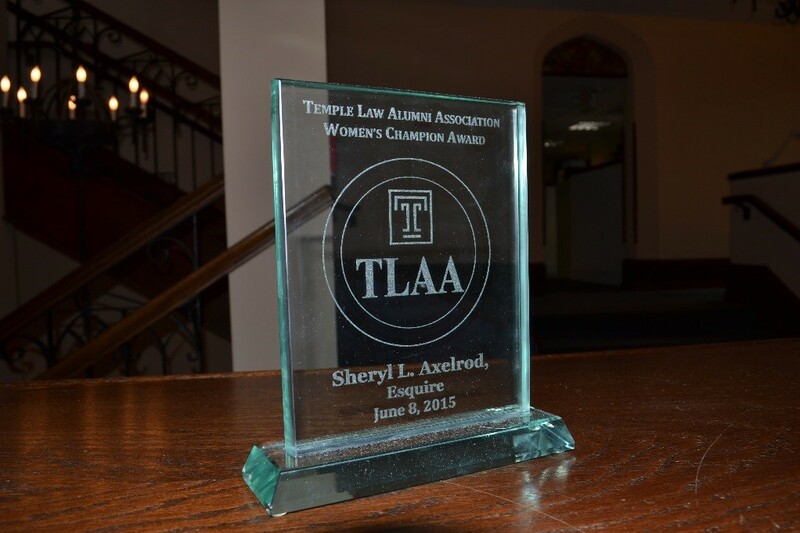 Video of Sheryl Axelrod receiving the TLAA Women’s Champion Award on June 8, 2015. The TLAA Distinguished Service Award recognizes those who have demonstrated a career-long dedication to serving the community and helping others through service and volunteer work. 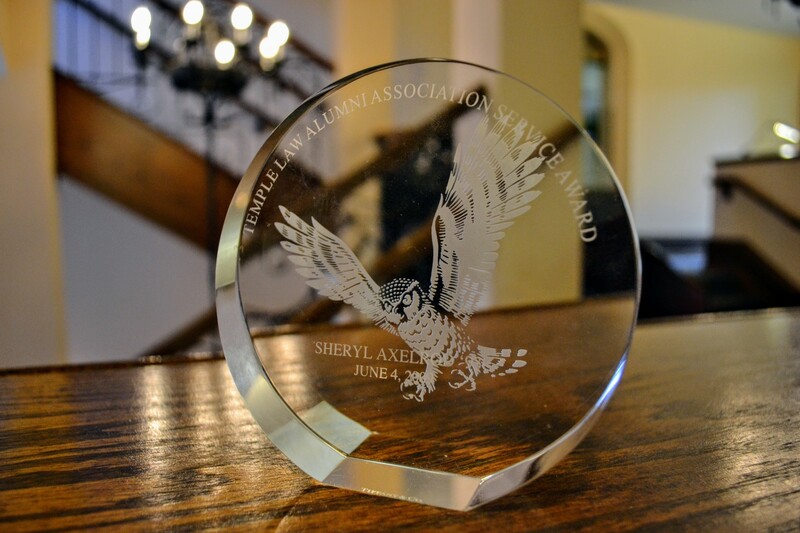 Firm President Sheryl Axelrod received this award in 2009 and has continued to volunteer her service to the community and the legal profession.